According to the recent State of Fashion Report 2018 released by McKinsey & Company in partnership with Business of Fashion, there is a cloud of uncertainty looming over the fashion industry. 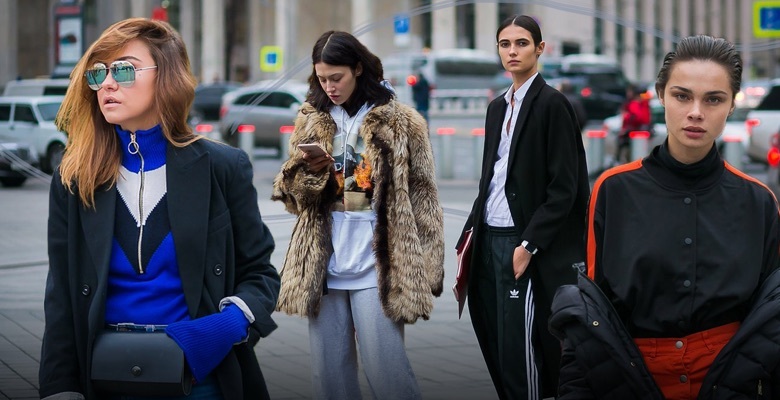 While uncertainty is nothing new for an industry that is constantly reinventing itself, this is considered to now be the new normal of the fashion industry. The findings in the report further make mention of a “new sense of optimism” meaning, for the players willing to toughen up and work with this new normal, there are opportunities to be explored. Personalisation is the key focus where consumers are concerned. This is set to be a major theme in the fashion industry as customers demand a more a personalised and unique approach. Furthermore, consumers are pickier, and this means a greater demand for unique, exclusive items, high-quality products, and better prices with a lot of authenticity. The customer experience is something that will have to be a priority for businesses. According to digital marketing agency AgilOne’s Marketing Personalization Preferences report of more than 3000 adult consumers in the US and UK found that more than 70 percent of consumers expect personalised experiences from brands. They also expect the brands they interact with to remember how long they have been a customer and to be able to recall their previous purchases. A clear indication that brands are listening is evident as respondents to the Business of Fashion – McKinsey Global Fashion survey highlighted personalisation as the number one trend in 2018. Online platforms continue to strengthen their position as they invest in stating their place in the fashion space. As a result, they are set to make a big impact in 2018. In the Business of Fashion – McKinsey Global Fashion Survey, more than a third of the fashion executives participating believe that online platforms are among the top 3 trends for 2018 in fashion. Because of this, fashion companies must think about how they will engage with online platforms rather than if they will or won’t engage with them. This could mean fashion companies using these platforms to sell through them but it could also mean giving up the collection and control of increasingly important customer data to the platforms. The belief among thought leaders is that 40% of Fortune 500 companies will not exist in the next decade. With an increase in the number of brands that are failing and retailers that are filing for bankruptcy, it is clear that fashion companies need to adapt or die. Innovation is now crucial for survival. The prediction, according to the survey, is that we will be seeing more and more fashion companies looking to draw inspiration from start-up and digital company models. They may even go so far as to acquire innovative start-ups. This will see fashion companies experimenting with new modes in order to promote their newly acquired innovations. Entering a new phase of globalisation which is driven by digital connectivity and data means greater connectedness. This rise in connectivity means a wider array of ways to interact in cost effective ways that reach more people than ever before. More than 900 million people being internationally connected on social media, and the prediction that consumers are estimated to spend $1 trillion on cross-border e-commerce by 2020, points to the fact that there are opportunities for brands and businesses to maximise further on globalisation. As the fashion industry continues to reinvent itself and present new challenges to businesses and brands, it is now more important than ever for brands to look at ways in which they can survive this new normal of uncertainty. Focusing on personalisation trends when it comes to consumers, businesses engaging online platforms more effectively, and discovering innovative means of existing in this brave new world are key to riding the wave of change that the fashion industry finds its on.